There are many WordPress themes out there. Sometimes is hard to decide which one of them best fits the layout and design of your new website. Usually after purchasing the specific theme you’ll find that certain bits and pieces doesn’t fit your project and you are back again searching for the new theme to purchase. This is why WordPress theme shops are a good way to pay one fee and get the access to many different themes. This our post is dedicated to one of such WordPress theme shops – Elegant Themes. Here we list 5 interesting and useful WordPress themes we picked from their theme catalog. Elegant Themes charge single fee for and access to all their available themes, which now are 87. Hope you will find the WordPress theme for your website you were looking for. This beautifully looking WordPress theme is designed the way that someone who uses it doesn’t need to know much about how WordPress works. 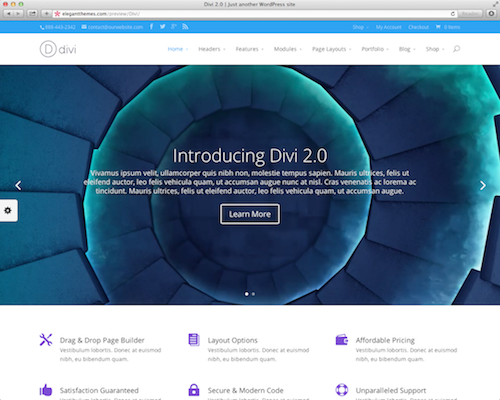 Divi has drag & drop layout builder, special divi modules to help you build and customise WordPress web site. Demo site. 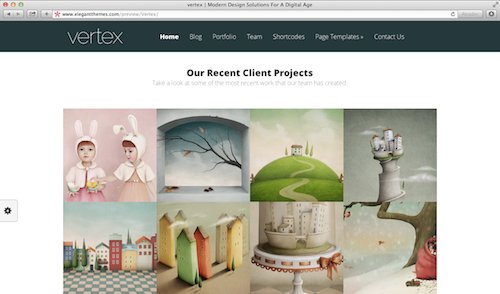 Vertex Theme is created for creative freelancers or agencies to showcase their work. Elegant and responsive design makes this theme perfect for someone who is looking to setup WordPress powered portfolio website quickly. Read more and check the Demo site. This theme is different from other WordPress themes out there because of its map centric layout. 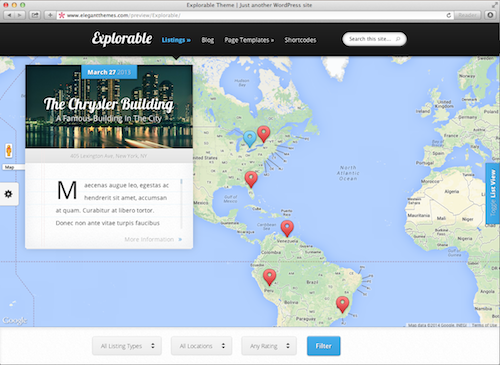 It is created with purpose to help you build WordPress websites which can be used to dynamically show explorable map with locations and information. Check the print screen we took or do and visit live Demo site. 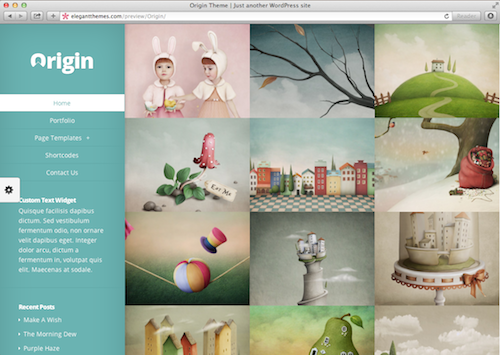 Origin WordPress theme is designed to tell the story via set of images rather then words. One of the WordPress themes photographers, illustrators and designers just love. Supports multiple menus on left and right side of the page, custom sidebars and blog layouts. Take a closer look at the Demo site. And the last of 5 Elegant WordPress Themes we wand to list today is called Nimble. Its minimalistic and simple theme, which helps you quickly create simple and minimalistic online product site. 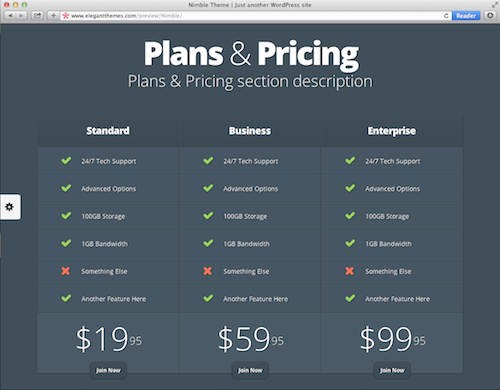 This theme has beautifully designed Home, News and Updates, About Us and Pricing pages. Custom contact us form and customs sidebars will help you add unique elements to look and feel of online product page. You can give it a try at Demo site.